Going out on the town for New Year’s Eve is always exciting, especially when you live in Downtown Las Vegas! With so many bars, restaurants, and entertainment venues within walking distance, it’s no wonder going out to ring in the new year is so popular. But hosting a New Year’s Eve party at home is another fun way to welcome 2019 with a bang. Not sure how to throw a New Year’s Eve party at home? Read on for your ultimate DIY NYE party guide! Setting the right atmosphere is key when New Year’s Eve party planning. There are just three New Year’s Eve colors you need to focus on: black, silver, and gold. If glitter were a color, that would be included, too! When setting up your party, incorporate plenty of glitter and metallics to make the whole room shine. Deck the halls with streamers, garlands, gold plates and cups, and of course, balloons! If you want to stay on-trend, set up some foil 2019 balloons behind your food table to make your party extra festive. Obviously there’s the countdown, the ball drop, and the midnight toast to look forward to on New Year’s Eve. When hosting a New Year’s Eve party at home, find ways to spice it up a little! Entertainment can be as simple as sitting around playing games and telling memorable and funny stories from 2018, or can be as elaborate as setting up a full photo booth to make some final memories of 2018. Or, in your NYE balloons, hide some prizes for guests to find when they’re popped at midnight! Whatever your party entertainment is, it is sure to bring everyone together for the final hurrah of the year. Where you host your party is as important as what you do during it! If you live at The Ogden, you have plenty of venue choices. You could gather friends and family in the intimate setting of your home. Or, for larger groups, plan your New Year’s Eve party in the Social Lounge, on the Sky Deck,or at the Rooftop Pool with panoramic views of the Las Vegas Strip. With Christmas music just barely out of earshot, keep the holiday vibes going with fun and upbeat music while hosting a New Year’s Eve party at home. If your party is aiming for a more refined atmosphere, find the smooth jazz channel and turn it down low for ambiance. A more energetic New Year’s Eve celebration calls for the top 40 hits, an homage to all the tunes made popular in 2018. Regardless of your party tunes, there is one absolute must on New Year’s Eve: Auld Lang Syne. This classic tune is the perfect way to bid farewell to the old year while taking a cup of kindness yet. End this year, and start next year, on a positive note by hosting a New Year’s Eve party at home that will rival any night out. This way, you get to personalize every detail to your liking to make your experience perfect, from the food to the decorations to the music you dance to. 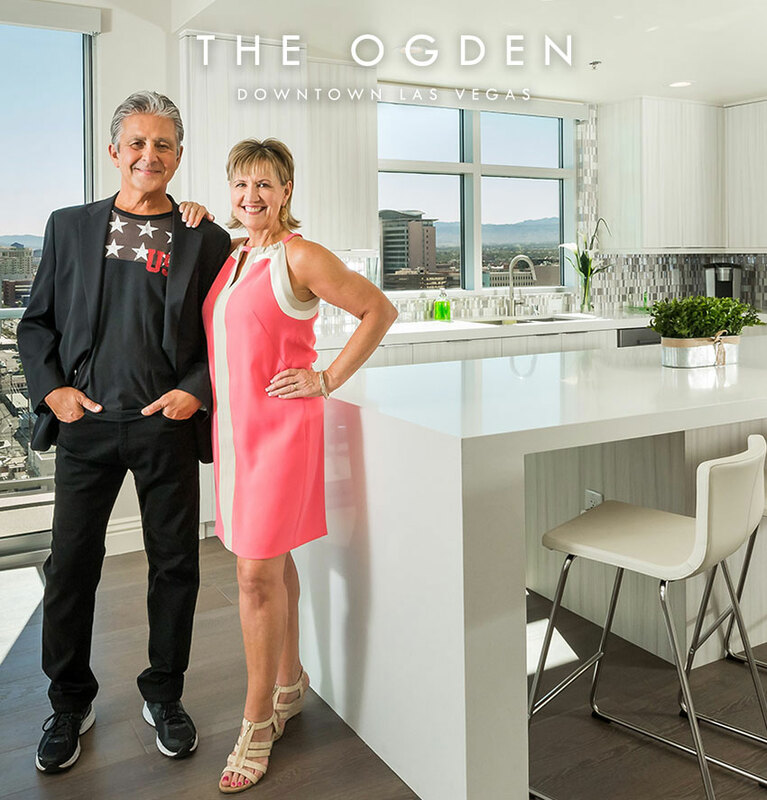 Celebrating New Year’s Eve at home at the Ogden will be a night you and your loved ones never forget!